CHRIS JANSING, ANCHOR: That was the President placing the blame on past administrations for the breakdown in U.S.-Russian relations. 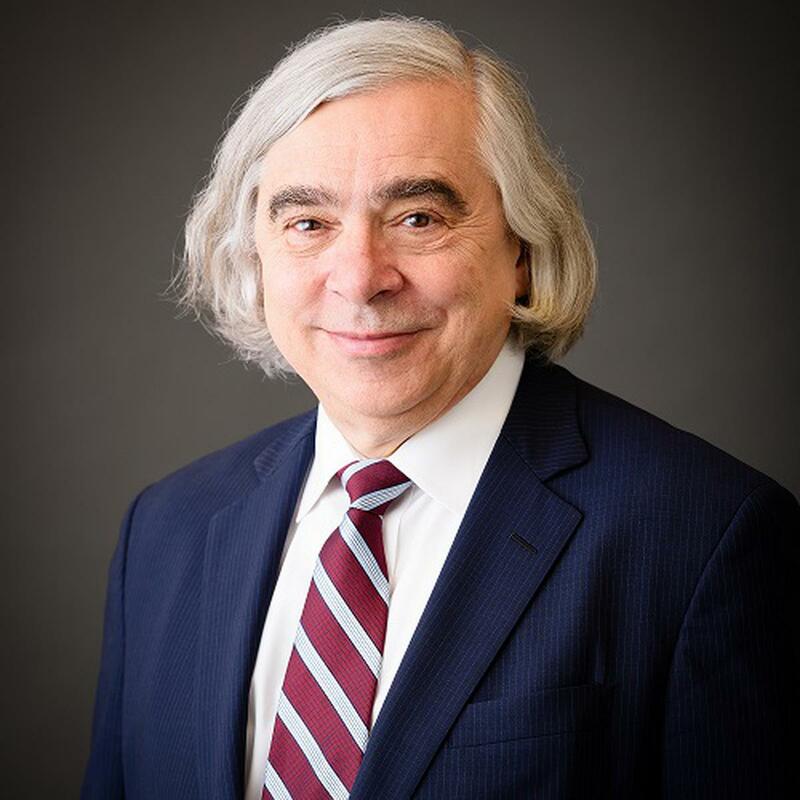 Joining me now is Ernest Moniz, former Energy Secretary under President Obama. Today he is CEO and Co-Chair of the Nuclear Threat Initiative. Good to see you, Mr. Secretary. There is I think this well-established obsession that the President has with both Secretary Clinton and President Obama. That aside, when you hear him lay the blame squarely at the feet of the administration you served, what goes through your mind? SEC. MONIZ: Well, first of all, we have to remember that certainly in the last years, since 2014, Russia is the one who had the incursion in Ukraine. Russia is the one who started military actions in Syria; we can go on and on. But President Obama always kept his eye in the ball in terms of the mutual threat that we have, the U.S. and Russia, in having over 90 percent of the world's nuclear weapons. So President Obama had a very, very strong program to try to mitigate those risks. Here in this administration, the current administration, we've had very, very mixed signals. Now, I want to say that at the summit in Helsinki, the President's actions in elevating Vladimir Putin's reliability above that of our intelligence agencies is absolutely unconscionable and ultimately tears at our democratic institutions. But I also want to say that there are suggestions to be played out over the next weeks that perhaps a process has been started in which the U.S. and Russia can, at the staff level, at the cabinet level, begin to address the existential risks of nuclear threats that we pose with each other. JANSING: So do you think something good could come out of this face-to-face meeting? SEC. MONIZ: Potentially yes, over the years, over the next months and years, in the sense that we can address our mutual nuclear risks. However, the President's performance unfortunately made that more difficult, because success there is going to require not only hard work at the staff level, but it's going to require Democrats and Republicans coming together. It's going to require the United States and our allies coming together and not only in Helsinki, but prior to that in Brussels with the NATO meeting, the President, unfortunately, for no obvious good reason is just creating more and more divisions among those who he needs to help make something good out of a U.S.-Russia nuclear risk reduction discussion. JANSING: I don't know if you had a chance to hear what your old boss, Barack Obama, had to say earlier today in a speech, but he called the times “strange, uncertain with each news cycle bringing more head spinning and disturbing headlines.” I wonder if that's how you see things right now and for members of this administration, the current Trump administration who are disturbed by what happened yesterday, and there are already reports about how upset they are with the way the President handled things, is this potentially some sort of tipping point and should members of this administration consider resigning? SEC. MONIZ: Well, you know, last week, we wrote that the “Trump hurricane” had descended upon Brussels. I think now we have the Category Four hurricane coming out of Helsinki. It clearly is very, very disturbing, and I have to say, Dan Coats who heads our National Intelligence, I believe is a straight shooter and as you have seen, he has clearly stated that the President's statements on the Intelligence's conclusions on election meddling are just plain incorrect. So I'm not going to judge any individual's decision there, but clearly we need Republicans to push back. JANSING: Would you under these circumstances resign? SEC. MONIZ: Again, I'm not going to comment on these speculative issues. I think what is clear under any circumstance – I would want to tell the truth and come out straightforwardly and I certainly could not endorse any of the President's statements while still wanting to see a process move forward at a professional level to reduce our existential nuclear threats. JANSING: Former Secretary Ernest Moniz, always good to have you on the program. Thank you.